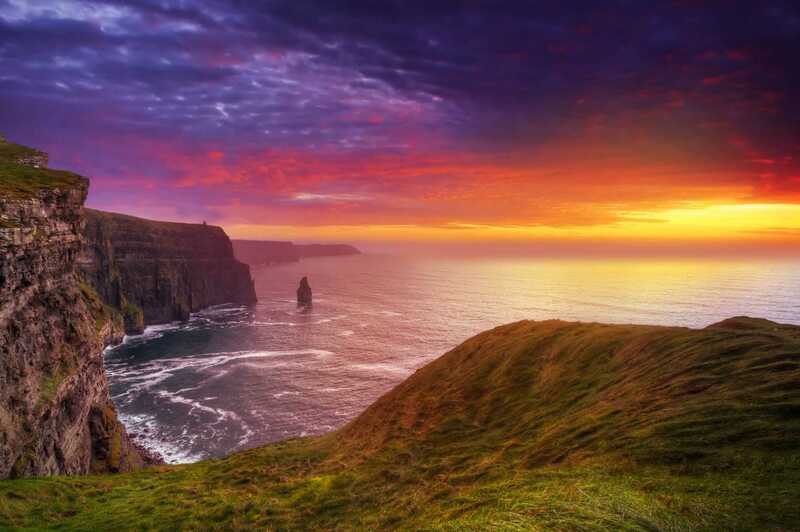 The Cliffs of Moher in County Clare is one of Ireland's most iconic attractions. 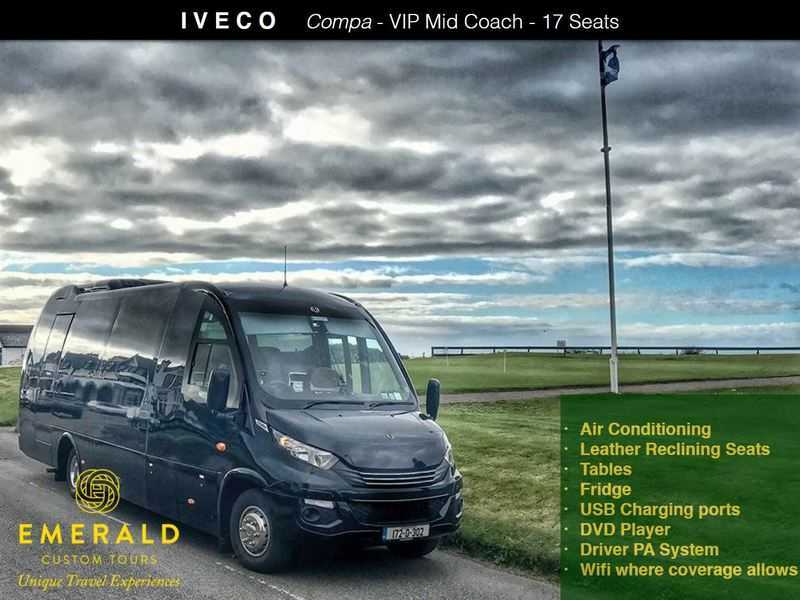 This day tour gives you the opportunity to take in several unique Irish experiences in a small group setting of no more than 16 guests. 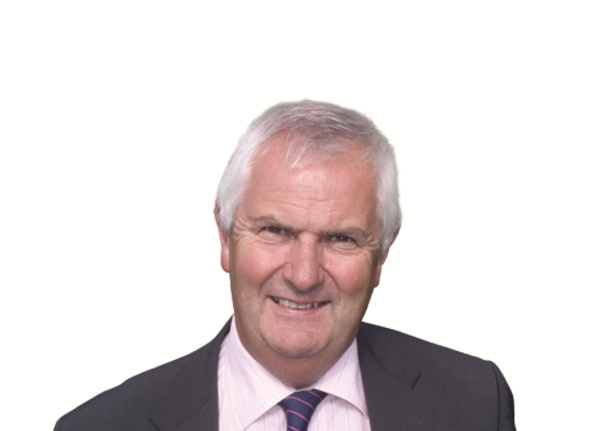 You will commence the tour from Dublin at 08:30 with collection from the designated collection points. These are provided on booking. You can also request to be collected from your hotel. Approximate return time to Dublin will be 19:30. Guiding is all through English. This includes your cost of entry into the following attractions. Clonmacnoise - A 7th century monastic settlement founded by St. Ciaran. Poulnabrone Dolmen. Ancient burial tomb. The Cliffs of Moher - Towering over 700 feet (200 + meters) and imposing over the Atlantic coast of County Clare. The coastal towns of Doolin & Lahinch for some free time. 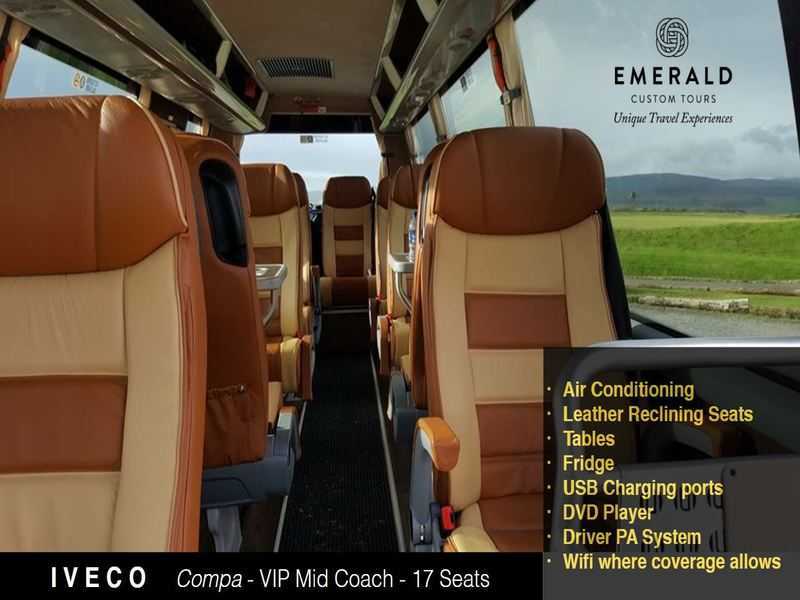 Iveco Compa - Mid Coach Interior This vehicle seats 17 guests in the utmost of comfort. 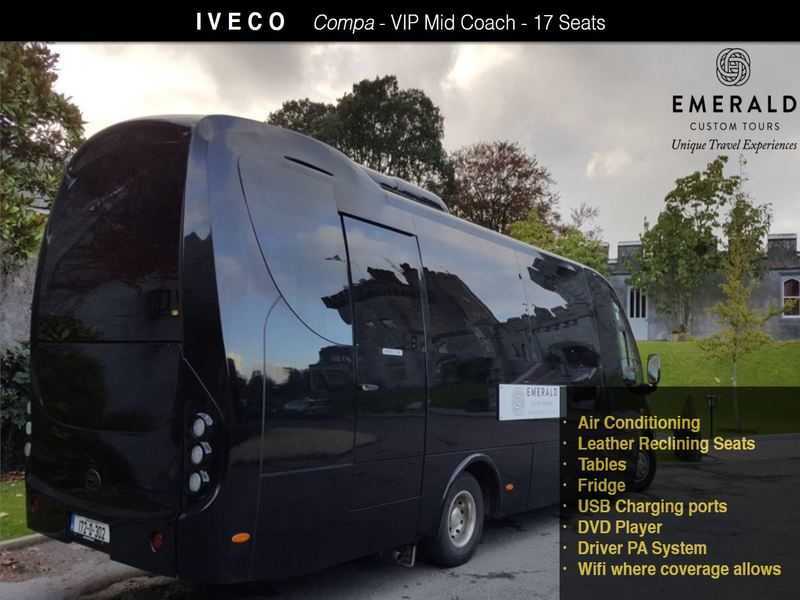 Iveco Compa Touring Coach Our driver guided touring coaches make traveling around Ireland a pleasure.